The history ethics is a troubled one. It is often plagued by the twin pillars of determinism, and reification. The first is the belief that all things in the universe, both social and physical are determined by the laws of God and/or nature and that humans merely discover these laws. The second refers to the tendency for human beings to forget the subjective human origins of all thoughts, beliefs, theories, etc. and to treat them as if they were objective ‘things’ (res) that then have control over all those entities, including humans, to which they refer. For thousands of years ruling systems of thought have based themselves on these deceptive practices. This has simplified the task of rulers and others who have benefited from these beliefs, as it has relieved them of any personal moral responsibility for their thoughts and actions. But it has also served the common people who, along with the rulers, were relieved from the onerous process of constantly examining their ontological beliefs, this being especially true if the actual systems of control in society seemed to leave little opportunity to alter the actual circumstances of life in any case. The current situation is particularly depressing, given the widespread absence of any moral awareness in science, especially economic science, during the widespread crisis gripping the Western world, especially destructive to the young people who appear to have so little hope for their future. What is an amoral society? By amoral (value-free) society we mean a society of people who have no moral sense and who cannot, or do not want to recognize the difference between good and evil and who may not even be able to recognize this difference, as an expression of sociopathology. It is a society of people who are not aware and do not care if they do evil to their fellow humans or to the environment in which they live. Essentially it is a society without the emotional and ethical values ​​and moral institutions that characterize human existence and has come to distinguish humans as a species. Today's amoral society is the result of many years of war by the economy against human society (Polanyi 2001). The economy has an overwhelming dominance in today's society. Given the basic premise that only money matters to humans, along with the implementation of the ‘free market’ and its infinite growth ideology, almost all human concepts have now been replaced by commercial values, as we shall see below. How has the amoral society come into being? The how and why we live in an amoral society today is a long and complicated story. One could say that it started from the moment when humans acquired private property along with the invention of agriculture and the domestication of animals, a process that began roughly 10,000 years ago. At that time people began leaving the small communities where they, themselves, had created a system of social control and organization following hundreds of thousands of years of biological and anthropological evolution. In those prehistoric communities social organization was based on the recognition of the dependence of each person on the others in the group, as well as on nature, understood as necessary for survival. This recognition was (and is) expressed as a sense of morality, something that unfortunately has been slowly eroded as a result of the increasing size of the population and inevitable increasing complexity of society, accompanied by an increase in anonymity. In addition to this, the rise of private property gave a different ethos to society generally (Engels 2010 ). Riane Eisler (1987) has also suggested that invasions by male dominated herders into the early agricultural societies of ‘Old Europe’ and the Middle East destroyed the egalitarian social order that had apparently survived the transformation from the earlier hunter and gathering societies that had preceded them. 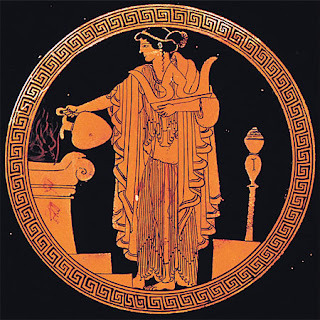 She cites Minoan Cretan society as the best example of these still egalitarian forms, forms which were gradually eroded by the invasions of the Mycenaeans, with the volcanic eruption and tidal wave on the island on Santorini also apparently playing a role. The philosopher Aristotle tried to address this problem when he wrote about 'Ethics' and 'Politics'. At same time, art, especially theater, helped the ancient Greeks to understand the importance of ethical and cultural dilemmas, which demonstrates that the issue was still part of the larger social discussion at that time. 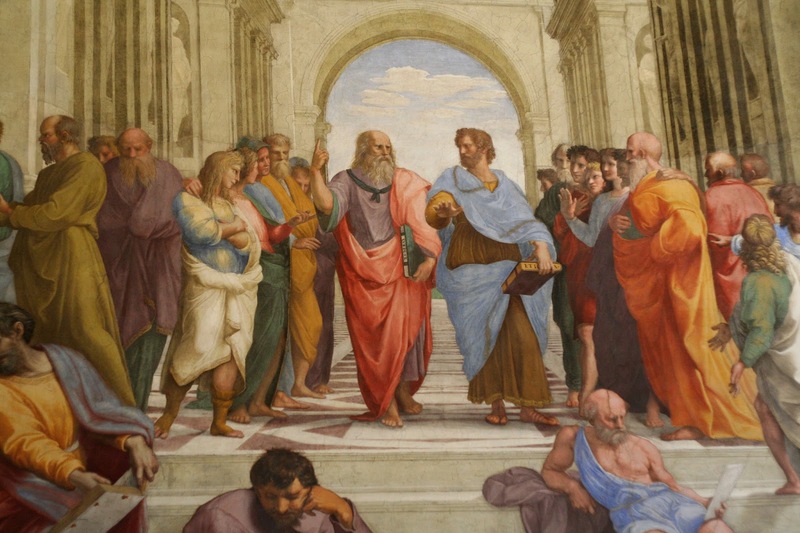 The dialectical spirit of philosophy and art in ancient Greece appears to have been lost with the rise of monotheistic religion. That is, the church gave its own interpretation of morality, albeit in a very dogmatic way, with a code that has been important, at least for those, either within or outside the church, who have been guided by it. Under the new doctrine of religion people were asked to believe that moral rules come from extraterrestrial sources and that they should follow them without debate, without doubt: "Blessed are those who have not seen and yet have believed". At the same time, the price of sin, i.e., eternal damnation, was a heavy burden for the poor human being. Perhaps for this reason confession was added in order to ease this burden. The system of religious moral principles was quite good for its time and even for today, for that matter, if and whenever people actually adhere to it. Unfortunately, however, the church did not recognize, and to a large degree prevented the development of human knowledge, especially with regard to nature, but also concerning the organization of society, and along with that the evolution of moral needs. But, perhaps more important is the fact that moral consciousness and discipline are diminished when humans lose the sense that they are participating in the creation of the system of controls over their personal and collective or social life. As a perhaps unintended consequence of this highly centralized definition of morality through organized religion was from time to time the problem of corruption, a problem that is likely to occur whenever there is a lack of democracy in the social hierarchy and generally when excessive power is exerted over society, even in the name of religion. This corruption in the Church was sufficiently pronounced in the early 16th century, that it produced a movement for reform, with the resulting Lutheran schism and the birth of Protestantism throughout northern Europe. Among the Protestants, morality was (and is) a matter between the individual and his or her God, not unlike the ancient Gnostics, before Paul, together with the leaders of the Eastern Roman Empire, organized the church hierarchy for better control of the populace (Koutoulas 1997). This direct relationship between humans and their God required a different moral system, not one based on honor and shame with its necessary social monitoring. It required a more esoteric sense of good and evil. It required a sense of guilt. The feeling of guilt must be embedded in early childhood during the first years of socialization, so that it will remain forever in the subconscious and last throughout one’s life. It is for this reason, plus the fact that the environment in the North is so much more unforgiving, that individual discipline appears to be very important in northern Europe. Unfortunately, however, when the burden of guilt becomes unbearable, people have a tendency to unload it onto anyone else they can, both near and far, a practice that is often accompanied by the hope that they themselves would then appear more righteous. Also, this often results in a tendency to authoritarianism and to a strong need to seek revenge for any breach in the rules by others, or even oneself, for that matter, a problem that apparently irritated Nietzsche all of his life! On the other hand, in such circumstances people are much more willing to trust their fellow human beings, something which promotes more coherence and cooperation in large-scale societies. For this reason the subsequent evolution of religious morality was somewhat different in the North, although the rise of amoral science would, along with its quantitative siblings, the monetary ethos and the belief in infinite economic growth, ultimately produce some of the same negative effects as in the South. What are the findings of anthropology? It appears from the work of anthropology that the emotional instinct of morality has become genetically embedded in humans and the higher apes who live in groups with a consciousness that their survival depends on that group (Hauser 2006, Boehm 2012). On a practical level, moral control in small groups depends upon the almost complete knowledge that everyone has concerning the behavior of others within the group, along with the pressure that can be exercised by the group on the delinquent person, for example, interruption of communication with the offender (shunning), or expulsion from the group, or, in extreme cases such as a murder, their execution. These techniques have been used successfully, for example, in relation to common problems such as stealing and freeloading, as a necessary means of maintaining the integrity of the group. As mentioned above, the lack of participation that characterized the social world after the invention of agriculture and the domestication animals, along with the resulting growth of population, reduced individual involvement in social control. Religion transferred this control to a metaphysical level, with the hierarchy of the church as the author and enforcer of the rules. That is, moral consciousness remained, but decisions about what is moral versus immoral behavior was taken from the collective hands of the people directly involved. 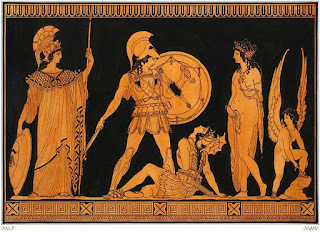 Meanwhile, one of most serious, though apparently somewhat rare, moral problems that the hunters and gatherers in small communities had (and have) to deal with are the tyrants, the powerful ‘alpha males’, who sought to intimidate and control their fellow humans (Boehm 2012). These types appear to be increasingly common in the secondary schools of today’s crisis-ridden society, where they are labeled with the term 'bullies'. This is something that, since even before the ancient Romans up to and including the present day, characterizes only certain types of men. With the development of agriculture, the acquisition of private property and the growing inequality among people, the number of bullies began to increase, with the inevitable result that they, themselves, would designate what was good and bad. The hunters and gatherers had the means to control these types, typically by organizing the more egalitarian majority in order to rein in the bullies. Over the last 8000 years, however, this form of bullying behavior has been extended to a larger and larger scale, up to and including the international level, where it has been transformed into imperialism. This anthropologically recent, though still sufficiently lengthy history of bullying has given the impression that predatory aggression is innate in man, when in fact it may for the most part be an (unintended?) consequence of a new environment created by him. Here, again, participation by the common people in creating the social order is absent, in spite of the myth of participatory democracy that is propagated from time to time. Naturally, in this case the sense of morality is even more diluted, even while the people themselves continue to be dependent on one another! As a result of this recent history there is now a tradition in the West that wants us to believe that all humans, especially men, are characterized by what Nietzsche has called the "Will to Power”. This is something that Marshall Sahlins (2008), in his book, The Western Illusion of Human Nature, suggests is a tradition that leads us to believe that bullies, tyrants, oligarchs, dictators, etc., should be regarded as something natural, something inherent in our biology. Again, according to Sahlins, this illusion has been expressed by many philosophers and historians including Thucydides, Thomas Hobbes, Adam Smith, and many others, as well as by many positivist social scientists. If, however, we consider this concept of "Will to Power" in the context of the hierarchy of needs theorized by Abraham Maslow (1970) -- a conceptual framework unavailable to Nietzsche during his time -- it might be more appropriate to call it the 'Will to Self-Actualization', i.e., the need to become everything one is capable of becoming from perfect mother or father, to poet, athlete, musician, carpenter, or whatever. Thus we would be able to appreciate that self-actualization in the form of a ‘will to power’ characterizes only a few people, especially if we emphasize the difference between predatory and defensive aggression (Peterson and Shane 2004). Indeed, otherwise it would not be so easy for tyrants to seize power. The will to power is, therefore, apparently rare and is to be found mainly in individuals who suffer from psychological disorders. Most people find self-fulfillment in entirely different ways and not through a need to dominate their fellow humans. This ‘naturalizing’ of bullying, in other words, serves more as propaganda than as science, much as (Social) Darwinism has served the interests of the free market system. Within this historical context Nietzsche (2003 ) named the original system of social control in small communities, the morality of outcomes (of actions), the consequences of which were almost always evident in these societies. The Protestant control system using guilt he labeled the morality of intentions, something more suitable in a larger society where the effects of actions are not so obvious. However, with the evolution of mass society we can also now see the need for a morality of unintended consequences. That is, it is not enough to have and to carry out good intentions, something that Aristotle had also proposed, but we must observe and judge all the consequences of our actions. As an obligation, this is nearly impossible because of the complexity of mass society and the difficulty of knowing all the consequences of our actions, to say nothing about the difficulty of individuals in social systems controlled by bullies to enjoy any kind of freedom even to judge their deeds, let alone control them. Here science, especially social science could and should play an important role in revealing these unintended consequences. The frustration and ultimately nihilism of Nietzsche, particularly in relation to the philosophers, was based at least in part, on the inability of a mechanistic and deterministic science during his time (and ours) to fulfill this obligation. Science, in order to play a significant role in the study and evolution of morality, would need to recognize the socio-political theater, the sociodrama (Burke 1959, 1965, 1968a, 1968b,1969a, 1969b, 1973), (Duncan 1968, 1969), (Lentricchia 1983), (Rueckert 1969), which is an equally important essence of human reality, along with the various mechanistic phases that are observed from time to time. What role has the culture of science played in creating the amoral society? The problem is that science and ethics are residents of two completely different worlds, as C.P. Snow (2013 ) argued more than fifty years ago. Science is based upon the five known senses. Thus it ignores and often trivializes the moral sense as an obstacle to proper (rational) thinking, necessary for science. Morality and emotions belong to our biological past and thus are to be found more in the human subconscious. Ironically, however, emotions and ethics as phenomena are well known to business and political leaders who use them to implant in individuals the thoughts and actions needed to keep them in power. 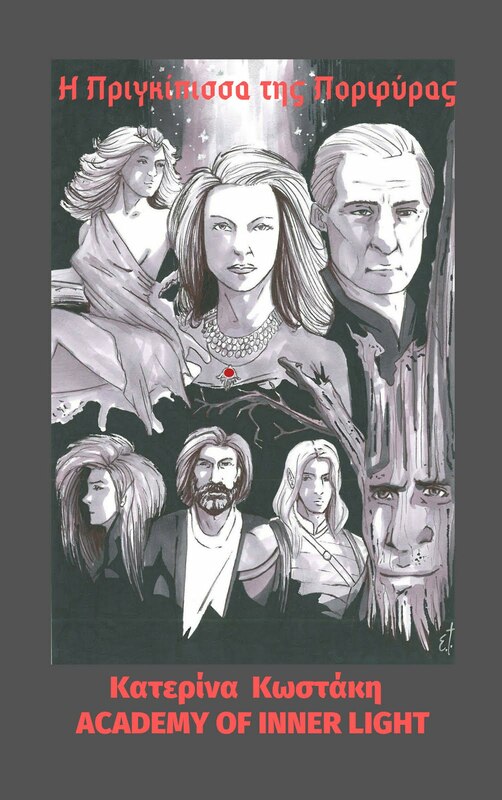 Here they use art, especially the narrative and the theater where heroes and villains symbolize appropriate versus inappropriate thoughts and behaviors. The irony is that within the sociodrama, which is an essential dimension of social life, science becomes an excellent device for the ruling class because it carries great authority and great respect -- if a scientist, who is the hero of the current sociodrama, says it, then it must be true! Gar Alperovitz (1994), among many others, has documented in great detail the knowledge about what was going on at that time, for anyone of Oppenheimer’s status who might have been interested! Apart from its rational but necessarily amoral methodology, most scientists believe in the deterministic approach of Newton and Descartes (and, therefore, of Adam Smith, of course). Determinism is the belief that all events in the universe are determined by 'natural' laws that apply everywhere and at all times. Newton believed that these laws came from God, while many, if not most, scientists today do not give much importance to religion or to philosophy, and simply believe that these laws are endogenous in the universe and that scientists are only discovering them. From this standpoint there are two advantages for the scientists. First, this gives more authority to these laws and, secondly, it exempts scientists from any sense of moral responsibility for what they say and do as scientists: if these laws come from God or from nature, the scientist is merely an intermediary, a messenger, not their creator. This deterministic approach appears to be in conflict with the dialectical approach of Heraclitus, which would argue that there are no ecumenical laws in the universe, because the universe is constantly changing due to the conflict among its various elements: "War [conflict] is the father of everything," as he proclaimed, or "thesis - antithesis - synthesis", as Hegel said. Marx, in his doctoral thesis, examined the opposition between determinism and the dialectic, as it was expressed in the conflict of ideas between Democritus and Epicurus. The latter supported the dialectic, as did Marx, of course. In addition, this may have something to do with a basic human psychological tendency: most people prefer a more deterministic world rather than a more relativistic one. They do not want to have to think all the time about whether their perceived reality is true or not, or whether it works properly or not, a weakness that postmodernism has much dwelt upon, especially in its nihilistic mode. Meanwhile, this deterministic bias appears to include most scientists, as described by Thomas Kuhn (1970) in his book, The Structure of Scientific Revolutions. People do not often seek to change their basic ontological beliefs, because this would require that they dig into their subconscious, something very arduous for most people. 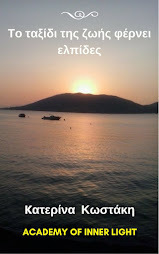 Heraclitus’ maxim that everything flows and changes, remains just that, a saying. Most people prefer to forget Heraclitus’ essential meaning, which is why they submit themselves to bullies so often. As Nietzsche said, these people “. . . in their desire for truth . . . prefer a handful of certainty over a whole cartful of beautiful possibilities”! On the other hand humanists and phenomenological social scientists believe that humans and the social reality that surrounds them are socially constructed and thus have both a subjective and an objective aspect (Gutenschwager 2004). The subjective aspect includes the thoughts, theories, images, beliefs, along with the ethical principles, etc., that humans, both individually and collectively have about reality. The objective aspect includes what actually exists in the environment, using whatever means can be used by science or others to observe and measure it. Positivist science does not recognize to any great extent the subjective dimension; or rather it tries to neutralize it in the interest of rational and value-free (amoral) objectivity. Thus, it has created a way of thinking, a philosophy that avoids the dilemma about the role of humans and their morality in the construction of the social world. It is a philosophy that allows positivist social scientists, in particular, to create the world in their own image, so to speak. This also brings up the abiding problem of reification, or the tendency of people to forget the human origin of all the ideas, theories, concepts, and beliefs that they have about the natural and social universe. The word 'reification' has roots in the Latin word 'res' (thing), and it is the process of taking a human idea, a thought, an abstract concept, and converting it into an objective ‘thing’, outside and for the most part above and beyond human involvement. The phenomenon that often accompanies this illusion, of course, is then to allow this ‘thing’ to control one’s life as if it were an immutable law of nature or of God. All of this is irrespective of any evidence that might be accumulated to prove the truth of the ‘thing’ within the context of one’s belief system or paradigm, as described by Thomas Kuhn in his book. This is something that is especially troublesome in the social world when reified scientific ideas are implemented, with their too often unintended consequences. Thus, some biologists, and many others, for example, believe that the vast majority of what humans believe and do, including egoism and aggressiveness, etc., is inherent and genetically determined, i.e., is the product of the ‘survival of the fittest’. This term has been mistakenly interpreted and used by Social Darwinists, in particular, in order to legitimize the behavior of bullies. They have, deliberately, it would appear, distorted the meaning of the English word 'fit'. This word can mean 'good physical condition', though not necessarily 'large and powerful'. But it can also mean 'appropriate or suitable'. Darwin, of course, would have implied the second meaning, i.e., if an organism were compatible or suitable in a changing environment it would survive, regardless of its strength, size or what have you (e.g., the dinosaurs). On the other hand, positivist social scientists, including mainstream economists, believe (as do physicists for nature) that the objective (social) reality is a (Newtonian) mechanism. Thus in both the Darwinian and Newtonian framework human intention plays no important role. What would be the point of moral consciousness in a deterministic (social) universe? Humans, including political leaders, and especially the powerful bullies among them, along with most scientists in their work would appear to have no need for morality. In fact, under this deterministic system of belief, they could not take any moral responsibility for what they do and think, in any case! 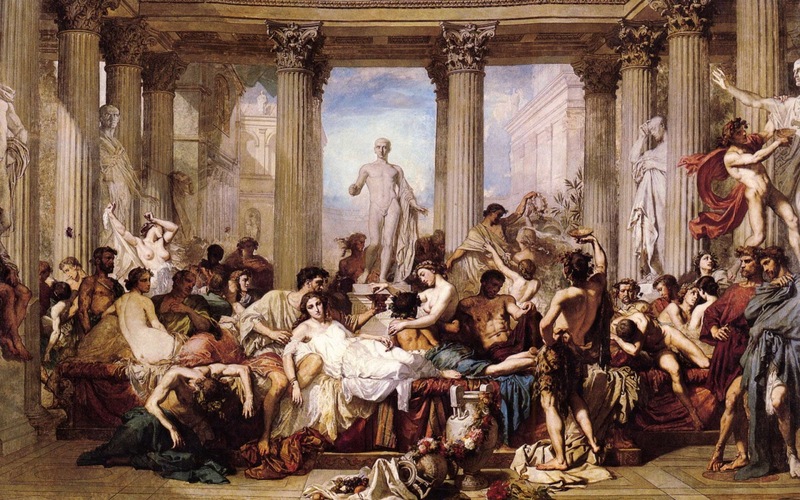 What role has the culture of economics played in creating the amoral society? The next step in the evolution of science was the attempt by Adam Smith in his book, The Wealth if Nations, as well as other positivist social scientists and philosophers in the later part of the 18th and throughout the 19th and 20th century to bring the scientific revolution to the social sciences by using the same principles as those used in the natural sciences. Their purpose was to confer the same authority on the social sciences that has been enjoyed by the natural sciences (with the same status and compensation, of course). Thus they have viewed society within the same mechanistic framework that physicists have viewed nature, without asking whether the consciousness that characterizes human beings would make any qualitative difference in the organization of society in relation to the organization of nature. In spite this mechanistic view, Adam Smith and his followers still felt the need to script, theoretically at least, some kind of consciousness in humans and some kind of explanatory model that would incorporate the obvious appearance of social organization. During the time of Smith the socioeconomic order was in the process of transforming from feudalism into mercantilism and industrial capitalism, a change he, himself, supported, of course. In this context Smith proposed rationalism (along with an implicit greediness) as the mode of consciousness, and for social cohesion, the mathematics of physics. Physics included no form of consciousness (at least not then), which forced Smith to formulate additional dimensions for ‘economic man’. Hence, he turned to Democritus for the idea of individualism, i.e., the atom, as used by Newton and Descartes in their deterministic physics. In this context Smith defined individual consciousness and behavior as rationalism, complemented by the idea of motivation, which he defined as a search for personal satisfaction. All of this was fine up to this point, but how would he measure these concepts: science requires quantitative data. It will not surprise anyone if we say that he found money to be the perfect symbol of satisfaction. It is absolutely quantitative, everyone seems to want it, and most people believe that it will bring great satisfaction and happiness. This may be partly true, but only along with the ‘golden (not necessarily mathematical) mean’ of Aristotle, something within the ancient philosophical tradition largely overlooked by most scientists, for reasons explained above. 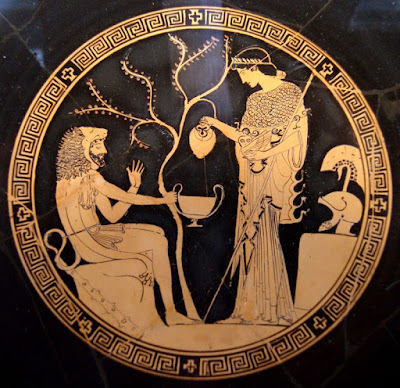 Also completely ignored here are the thoughts of Epicurean and all other spiritual philosophies that give emphasis to the non-materialistic dimensions of human satisfaction and happiness, once basic survival needs have been met, of course. Meanwhile, in order to fulfill one’s needs for satisfaction and happiness in the social world of the free market, where everyone else is doing the same thing, one has to be predatory, cunning, and generally amoral, like everyone else. Here is a very serious problem. While Smith called his new system the ‘free market’ so that people would believe that they were, indeed, free, they were, and are in truth, enslaved in a new form of thinking and behavior, that of predatory individualism within an amoral society. Even worse, over time, as the oligarchic and plutocratic system evolved, it is the powerful and wealthy bullies who actually define the living conditions of the people, who then must either succumb to them or die of hunger! It would appear that the only real freedom modern 'rational' humans have is the freedom from moral constraints! The self-assigned role of Adam Smith was to transfer power to a new ruling class, from the church and the landed nobility in a largely rural society to the merchants and industrialists in an emerging urban society. This was the well-known transformation from a feudalist to a mercantilist and then a capitalist society, something that had begun many years before during the Renaissance in Italy. This transformation was also accompanied by a transfer of intellectual authority from religion to science, without which the economic transformation, itself, could not have transpired, given the importance of technology to economic growth. Unfortunately however, Smith’s ideology and theory were built on only half truths, Unfortunately because his ontological assumptions have not been reexamined since they were put forth more than 200 years ago, given the absence of any philosophical dimension to economic science. His truths are well known, for example: a) investing surplus rather than (conspicuously) consuming it brings development; b) science and technology are indispensible to growth because of their ability to increase productivity; c) economic development improves material well being. But his untruths are equally significant: a) unlimited economic growth is not possible because of the tendency to over-accumulate capital (as we see today), and because of the damage it does to the physical environment, to say nothing of the people; b) ever increasing acquisition of material possessions does not ultimately produce happiness, as we now see in our alienated consumer society; c) ever increasing personal wealth does not engender respect, but rather envy and a sense of injustice; d) the improvement in material well being is not universal but is rather acquired at the expense of the many for the benefit of the few; e) individualism and self interest do not produce the best overall system, in spite of elegant mathematical proofs to the contrary; finally, f) the (unexamined) traditional moral values of economics are not very constructive, consisting of greed, envy and fear, based as they are on predatory individualism. While this system did succeed in liberating people from the former feudal system of serfdom, they are now trapped in a new kind of slavery, chasing after money and goods at the expense of all other human moral and spiritual values. Of course there has been enormous technological progress over the past 200 years, a progress enjoyed by the people of the first world, though, unfortunately, too often at the expense of those in the third world, to say nothing of the natural environment. And for a while the cornucopia of consumer goods coming from predatory individualism seemed to deserve the sacrifice of other values. Now, however, that the super-cunning bankers and brokers reveal, as they have done so many times in the past, the true face of the ‘free market’, people are becoming increasingly disappointed, without any idea of where to look for new inspiration. Indeed, as Capra (1982) has so aptly illustrated, we are now at a turning point where we must examine our ontological assumptions and begin to search for a new socio-economic system -- a very difficult thing! This applies especially to economists who continue to argue about whether the market should be ‘free’ or controlled by government intervention -- as if there hadn’t been massive government intervention to establish and maintain the 'free market' from the first moment of its existence, as described by Karl Polanyi (2001). At some point economists (and all scientists) must begin to perceive society as a mental, spiritual and emotional whole and not as a deterministic mechanism consisting of autonomous units. One cannot (metaphorically) lop off a piece of the human brain while ignoring the rest of that brain along with its heart, its body, its society, its culture and its history and call it ‘economic man’, and then build a whole science upon that mutilated (and reified) thing. We must all understand that any economic policy is at the same time also a social and moral policy and that to transform everything into commodities while ignoring the enormous toll on both humans and the environment is pure misanthropy. They don’t call economics the dismal science for nothing; - but it’s long past the time for a new start! What effects does the amoral society have on its youth? Those who more than anything must pay the price for all of this, of course, are the young people. The entire socio-economic and political theater bombards children with the need to buy the latest technological ‘gadgets’. The heroes of the consumerist sociodrama projected by the mass media relate only to wealth and consumption. For the children whose parents can buy them whatever they ask for there is cultivated a feeling that they should be very proud, and believe that they are on top of the social world. But when money (yet again) replaces other human values, the emotional vacuum remains and the frustration is expressed in a variety of ways. These children, along with the other children who can not have the technological goodies, are angry with their parents and with the entire society, a society that does not allow them to participate in the ‘consumer paradise’. This is especially true when the young see the corruption that enables the political and business bullies to enjoy all these goods. If we add to this that they are unlikely to ever find a place in society that will allow them to participate in this ‘paradise’ in the future, one can easily understand the anger and disrespect that the youth have for adults, for their teachers, parents, politicians, etc. Meanwhile, all the other messages that young people receive are from negative to nihilistic, including those about wars, crimes, frauds, thefts, divorces, suicides, scandals etc., etc. Television, movies and computer games portray mostly sinister police adventures, violence and corrupt behavior. 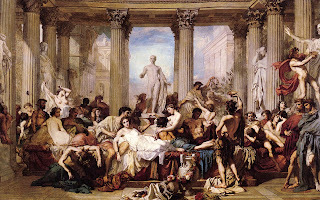 The goal of the master ‘predators’ is to numb and dumb down the people with desperation, while also providing them with ‘bread and circuses’, and the less the bread, the more the (increasingly violent) circuses. The only good thing is that in real life the athlete-gladiators are not (yet) actually killing each other, as they did in Ancient Rome, the grim prototype for today’s decadent society. And for the really desperate, of course, there are always narcotics, a perfect solution for the master predators in a world where technology, alone, is expected to continue increasing unemployment rates throughout the the 21st century and beyond. And what about conventional scientists and engineers? They rather appear not to want to hear about any of this. In particular, scientists and engineers working in the ‘high tech’, the military and the pharmaceutical companies have even less reason to be concerned. Of course, all this does not mean that we should abolish rationalism. It is simply that there are other dimensions to humanity that must be respected along with rationalism. To suppress and ignore these dimensions prevents even rationality from functioning properly. Both emotions and morality must work alongside rationalism as parts of the living totality that is human existence. What hope is there for the youth at this historic moment? The situation is desperate. At least, so it appears, superficially. Meanwhile, hidden from the media and popular culture, and from the more conventional academics but available on the Internet are thousands of scientists and others who are looking for solutions to the current problems of alienation and lack of moral principles. 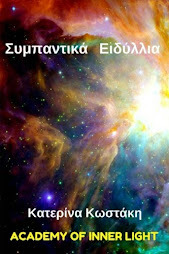 Heterodox economists, biologists, physicists, anthropologists, sociologists, archaeologists, homeopathic and alternative physicians, etc., are all looking for new approaches to understanding nature, the human body and human society, within a new context, in particular that of quantum physics and the electric universe. There, perhaps, are hidden the emotions, the instincts, the human 'vibrations', the moral principles, and all of the new (ancient?) medicine. This is not to speak of tens of thousands of global human efforts to create small communities based upon cooperation. It would be well worth the effort for today’s youth to investigate and become informed about these efforts, in order to see whether they might also be able to participate in the creation of a new social system for the future. It is for their own benefit to learn that there is something beyond the deterministic science, the predatory individualism and the materialistic goods that govern our thinking today. There, they may even find the quiet enjoyment of life, close to nature with their fellow human beings. First of all, however, they need to understand what is happening and why, in today’s society. This is necessary in order for anyone, especially the young, to be able to respond creatively and to claim the right to determine for themselves the conditions and limits of their happiness (Ray and Anderson 2000). This would also exempt them from the painful weight of desperate anger and the accompanying random and unproductive acts of vandalism. (See co-intelligence.org). (1965 , Permanence and Change. Indianapolis, IN: Bobbs-Merrill Co. Ltd.
Nietzsche, Friedrich (2003), The Genealogy of Morals. Mineola, N.Y.: Dover Publications, Inc.
Academy of Inner Light Newspaper is out-Read,Share and Subscribe! 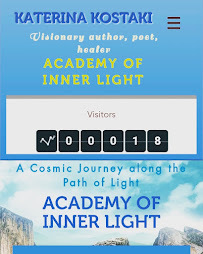 Academy of Inner Light on Youtube Channel-More than 190 videos! 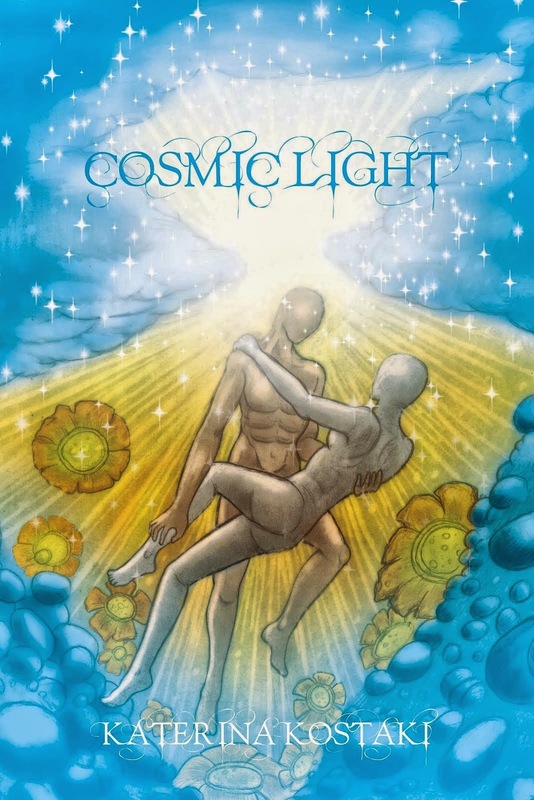 Cosmic Light-Poetry Book on Facebook! OneCoin.eu/signup/LightAcademy - Register now! - Εγγραφείτε τώρα! 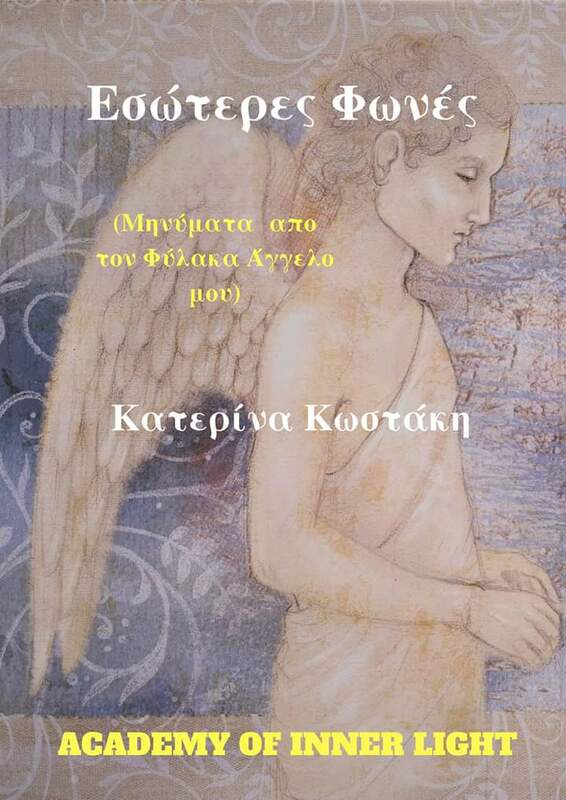 Copyright Katerina Kostaki 2013-2019. Powered by Blogger. 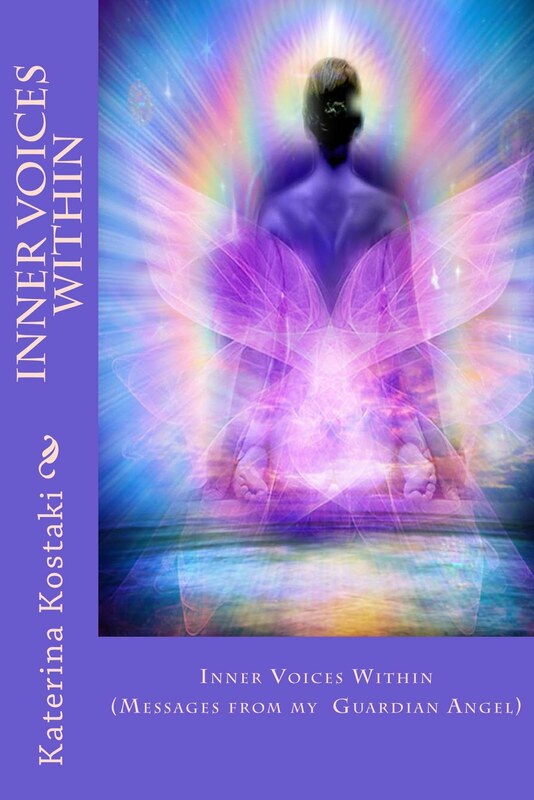 Katerina Kostaki is a Greek visionary and spiritual author, poet, healer, mentor, speaker and video creator. 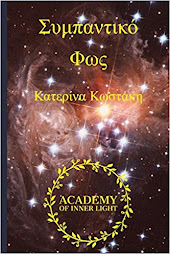 Owner of the ☀Academy of Inner Light ☀ She has written and published 8 books: 5 Greek and 3 English language. 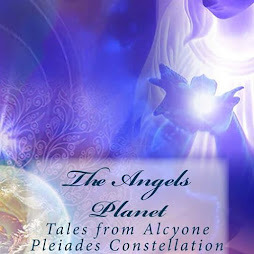 All of her books are available on Amazon, Barnesanoble and various online bookstores. (Gr) Το υλικό σε αυτό το blog είναι κατοχυρωμένο. "ΤΟ ΤΑΞΙΔΙ ΤΗΣ ΖΩΗΣ ΦΕΡΝΕΙ ΕΛΠΙΔΕΣ"